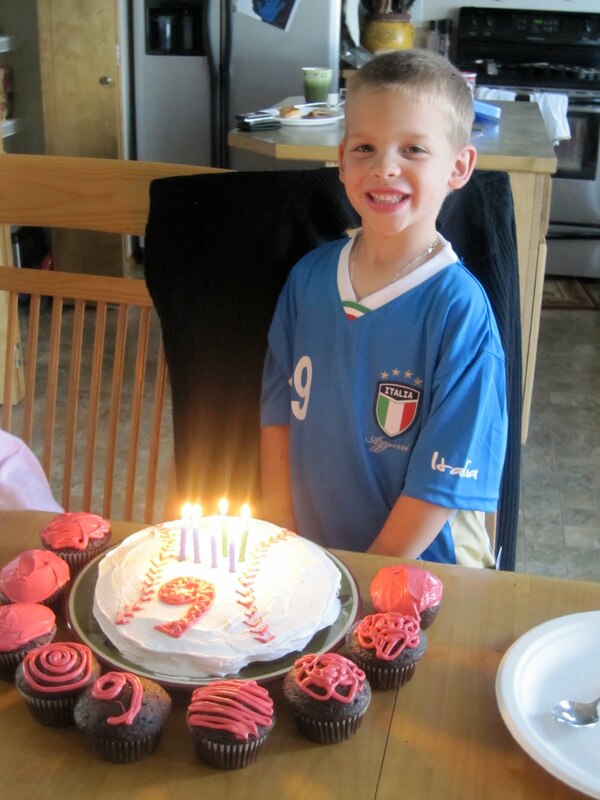 Una Mamma Italiana: My "Great Bambino"
The "GREATEST Bambino" turns six! 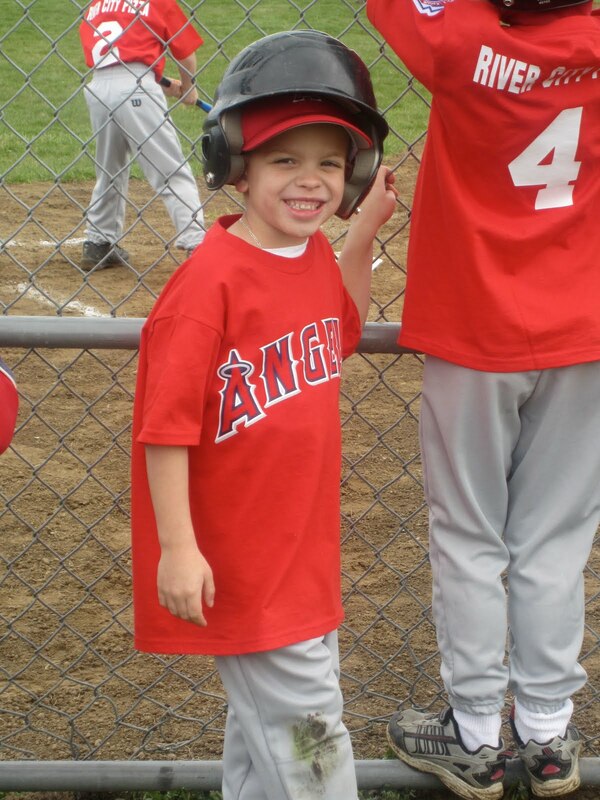 Somehow, he got stuck on the angels, much to the coach's disappointment! My son is my husband's protege. That's the nicest way I can put it. You know it's bad when every parent on the bleachers is commenting on how hard the coach is throwing to his son...I would hear things like, "He's so tough on his boy," and "Wow, he doesn't pitch that hard to the other kids!" This is what I get for having an Italian Yankee fan as a husband. (For those of you who can't make the connection - that basically means he is an overly proud father of a 'future major league Yankee shortstop that people just don't know about yet'......yeah, it's that bad). So after the tough-love coaching style and all the little league games, my son naturally had to have a baseball birthday cake! I'm no baker, but I tried my best. We had a blast celebrating his 6th birthday (and the fact that little league season is over!). Congrats to the future Yankee but current Angel. Great job to the den mama too. Just remember that there is no "off season"! I am slowly learning this fact - thanks for reminding me!! !